Conor C. Flynn has been the CEO of the Company since January 2016. 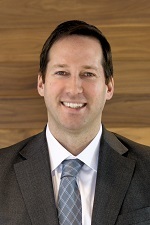 Mr. Flynn joined the Company in 2003 as an asset manager and has held a variety of senior leadership roles with the organization including President, Chief Operating Officer, Chief Investment Officer and President, Western Region. Mr. Flynn holds a B.A. from Yale University and a Master’s in Real Estate Development from Columbia University. Mr. Flynn is a licensed real estate broker in California, and a member of NAREIT, the Real Estate Roundtable, the Urban Land Institute (“ULI”) and the International Council of Shopping Centers (“ICSC”). CAREERS@KIMCO|KIMCO BLOG|Terms and Conditions|Privacy Statement|Sitemap|© 1999-2019 Kimco Realty Corporation. All rights reserved.